It's not every day that you can feel that you are on top of the world. Sometimes, life is just "meh"... You need help, and you need to connect with others. Well, welcome to Mehspot! Find a sitter or a pet sitter so that you can go out, request help from a tutor or search for someone who can play a sport with you. Many more features are yet to come, such as arranging a fun playdate for your child, a workout buddy, starting a book club, craft club or a group for your favorite hobbies. Give us any feedback to let us know what you would like us to build next. After you register, choose any of the badges, choose any of the badges that we have. 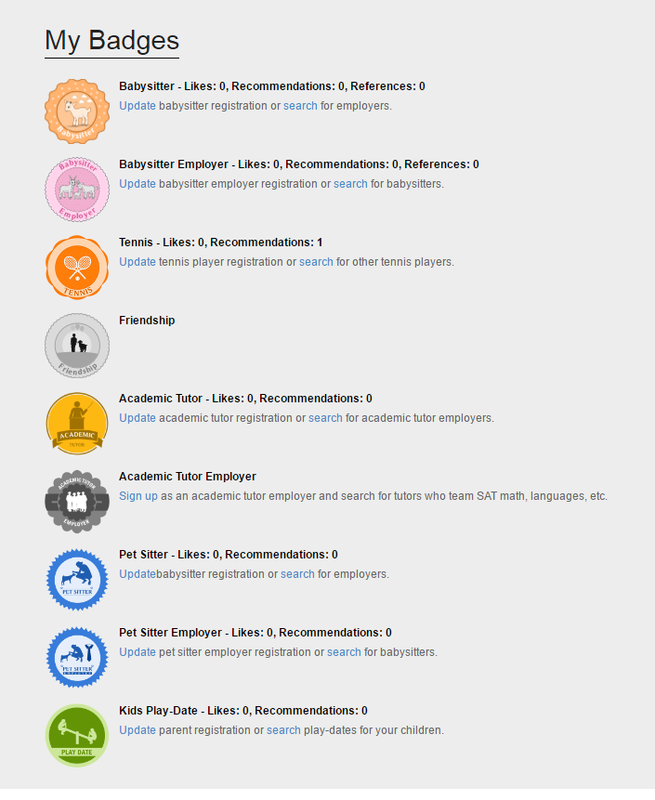 The badges are listed on the User Landing Page. You can following the links in the Badge Panel to register. Alternatively, you can use the badge menu to find the badges you want. Babysitter, Babysitter Employer, Pet Sitter, Pet Sitter Employer, Tutor, Tutor Employer, Tennis Player and Kid's Playdate. Search babysitters, pet sitters, tutors, tennis players, kid's playmates, fitness partners and those who share similar hobbies such cooking or crafting. You can view someone's profile, like them or recommend them. If you have created groups, you can also add users from the search results to your group! Are you convinced yet? Register here! Create a private or closed group to manage your babysitters, tutors or tennis players. Add people you know or people you found from search to your groups. 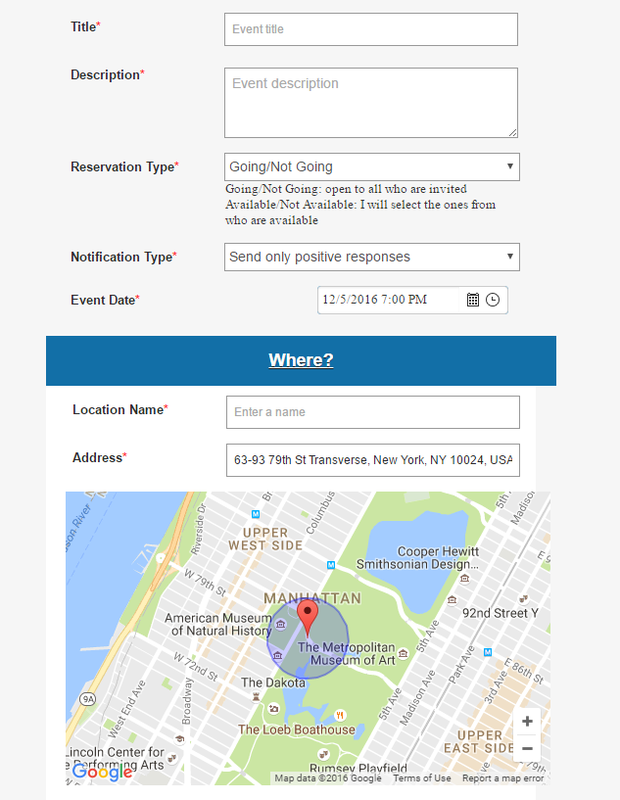 Create an event to invite group members to register for the event! You can choose from those who are available.